One year on from the Bohol earthquake, the Boholanos have managed to struggle and survive the massive losses of loved ones, their homes, their profit and most of all visitors who used to come to marvel at the province beauty. Tourism dropped tremendously! Leaving more businessmen earning really less, jobs have been scarce and many, if not all, are still wondering whether they can still go back to their normal lives, back to where they were enjoying a comfortable life with their own roofs on their heads while having their faith in God intact through the antiquated churches that used to stood at their barangays' frontier. It was heart-wrenching after having to witness the devastation right after the news was still fresh. Bohol is my second home. It is where my father had been educated and was brought up to be the best person that I know and so are my grandparents, uncles and aunts. Though most of them have established their lives now across different countries, I do believe their hearts truly belonged to Bohol. After a year, I stood amazed and sparked at how Bohol and its people have been rich in tenacity and kindness that in spite of what have been brought to them, they did not waiver with hardship. Last October 1, I found myself basking in the glorious sunshine of Bohol and prancing around towns with my camera on one hand and melodrama on the other. It was a three-day tour from the Department of Tourism and it was an awesome trip worth recommending, but have your heart ready to see some of what the 7.2 earthquake has brought upon Bohol. It is easy to understand how God has covered them with endless grace and now more than ever they are ready to welcome us visitors and tourist to come, see, taste and experience Bohol in a whole new spirit revived through their stories. I'm sharing the three-day itinerary that was organized by the Department of Tourism and CCT.168 Travel & Tours, headed by Ms. Edna M. Faustino, their Product Development Manager. Do you know that just by visiting the Tarsier Sanctuary in Corella, you are already supporting the efforts of conserving the tarsiers under the care of the Philippine Tarsier Foundation, as all fees goes to this cause? Deep in the forest of Corella, Bohol, is a tightly observed place to keep safe another endangered mammal and making sure humans do not anymore make as a factor why their numbers are lessened. 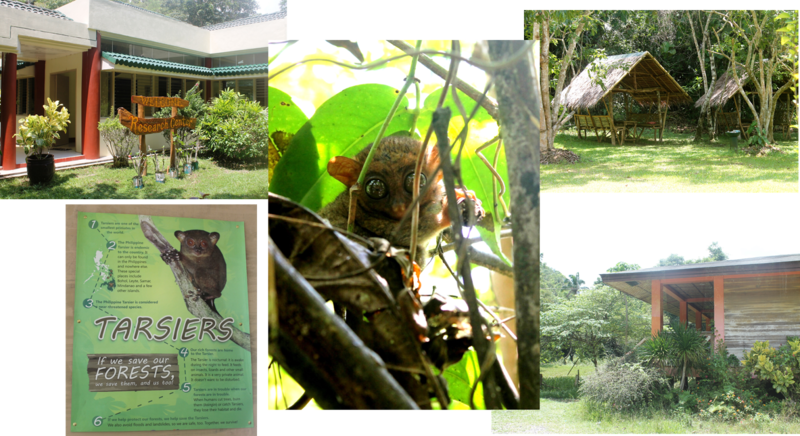 The place is enclosed to keep predators like house cats away, though the tarsiers are free to jump from one tree to another and hunt for food during the night. When seeing the tarsier, you will be asked to be as silent as you could while trekking the stony grounds of the place, not to disturb or scare away our cute friends. Prepare an entrance fee of P50 pesos per person, you may also drop some cash to a drop box located at their lobby to support their cause. Visit their website to know more about this info, here. 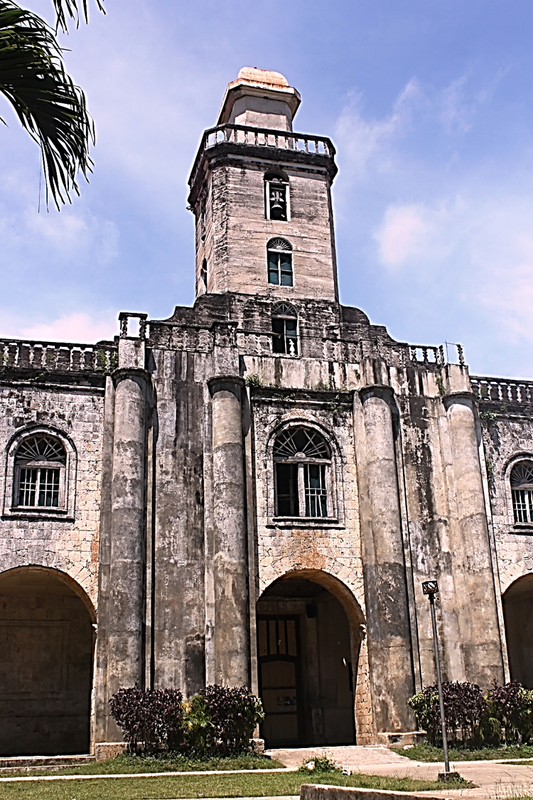 According to our tour guide, the church was declared as an Important Cultural Property by the National Museum and the National Historical Commission of the Philippines last October 22, 2013. The parish advocated to Santa Monica was canonically established on June 18, 1869 but was actually being studied that it may have been built in 1842. Just even before the earthquake struck, major renovations have been made which may have probably preempted serious damages. This old church like most of the other stone Catholic churches were made from coral stones, taken fom the sea and caved into blocks. The courtyard with the bridge adjoining the convent and the church. Now coming inside is just an amazing idea, the ceilings are painted so magnificently, that I just had to commend the artist who pain-stakingly painted these. Even the floor tiles are antique. 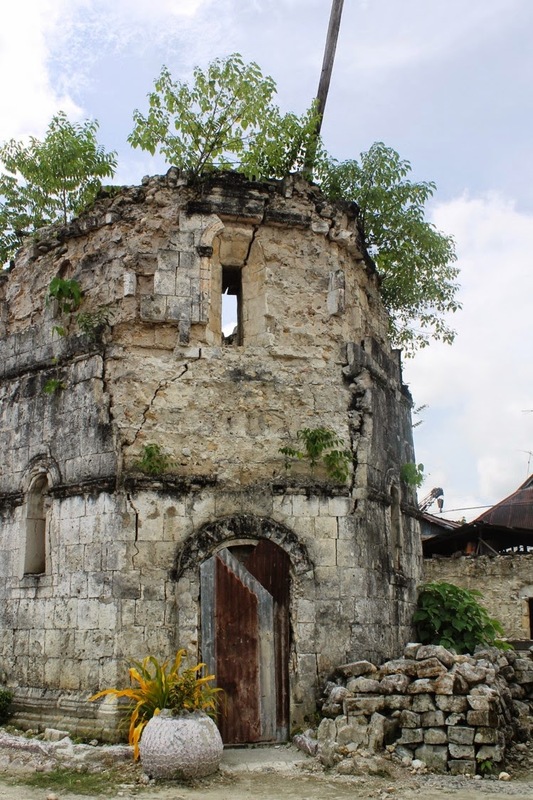 The church of San Pedro (Saint Peter) in Loboc, Bohol is the second oldest church established in Bohol. Built in 1602 originally, and reconstructed in 1638. Though the chuch gained a few interests among us cousins, we never get to appreciate it that much. What really gave us some thinking and talking about was the hulk of a big old unfinished bridge positioned right in front of the church's facade. When we last visited it to check the museum out (we might see some golds, you know) it had given us goose bumps, now all you can find are piles of rubbles and what seemed to be underneath are the relief's and items in the museum and church. The town center beside the church walls. The coral stone bricks where stacked properly awaiting to be rebuilt. What was now left from the church's bell tower. The view of the Loboc bridge from the "balsa" also known as the floating restaurant. At a point in the river, Loboc's cultural art dancers welcomed us and presented their local dancing. Mangga market is one of the secondary markets in Tagbilaran City.This is the favorite place among locals to go in the afternoon for fresh seafood, since the 70’s. 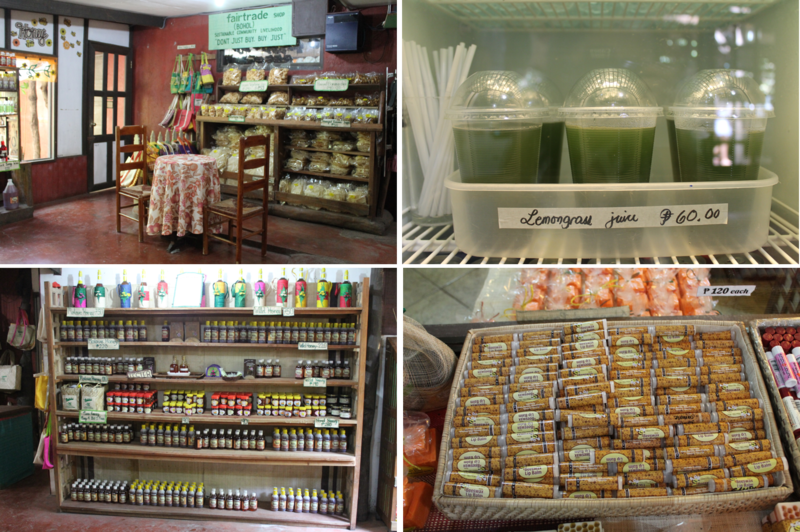 Nearby are small restaurants, (carinderia type) providing ‘cooking services’ for Seafood’s brought from the market. Morning beach sighting, before the island hopping. From the outrigger, I can see the other media people getting on a kayak, to go to our boat. Look at how tranquil this place is. The town has a number of people living in it who earns through fishing and as a guide for tourist who loves to snorkel or dive. A ritual was made to make sure we were cleansed of bad vibes, haha, and accordingly to keep our trip safe. A girl with a clay pot filled with charcoal and a burning incense. 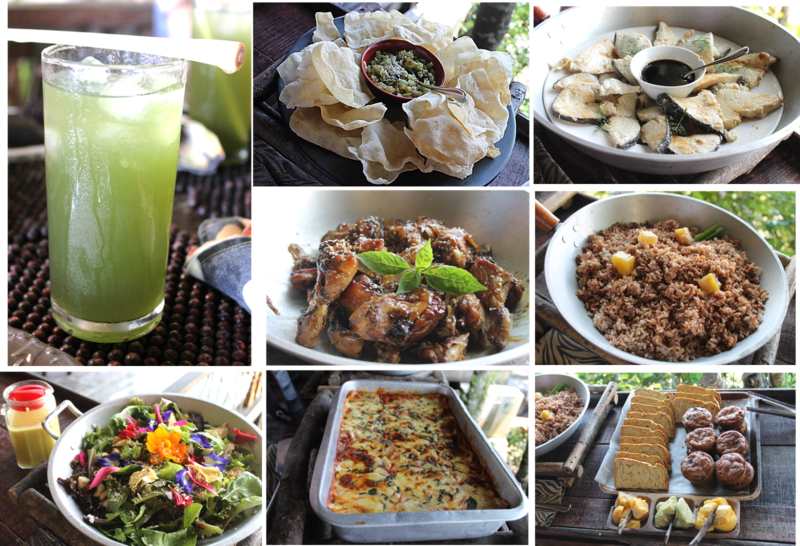 Then, we had to say goodbye to this!!! Thanks Bluewater Panglao! At the entrance, my media friends (girls) flocked over the accessories being sold. Me, I just revel on the surrounding, I love the homey, country ambiance. Inside one of the dining halls. Heading to our dining site, we passed through this building, apparently where the owners reside. The spectacular beach view of Alona beach from our dining table. With my Bluewater Panglao room mate, photographer par excellance, Julia Wimmerlin, representing Travelife Magazine. Earliest bird catches the biggest worm...Don't you just love how they have set up early for Christmas, their store is truly inviting and I guess I just have to say sorry to my credit card for now. It's always a great way to hear something new and different from that place, which triggers me to visit the place sometime. You made me miss Bohol. I have been to most of the places you visited but I want to travel the whole island. They probably have more pristine beaches there! Stunning pictures and I love to try that bike on a zip line hehehe. Oh Bohol! I can't wait to visit you. We've visited Bohol a few years ago, and we'd love to go back! Biking on a zip line is something I'd love to try, too!